Set up your Apple TV and install the apps you'd like to use (e.g., Netflix, Hulu+, Plex). Once connected, you may use Harmony to control your Apple TV and trigger Activities in which Apple TV is included. Select SCAN FOR WI-FI DEVICES and Harmony will search for Apple TVs on your home Wi‑Fi network. 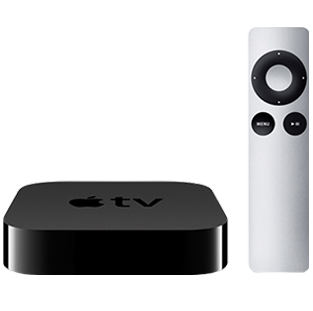 Continue through the series of questions to build your Watch Apple TV Activity. 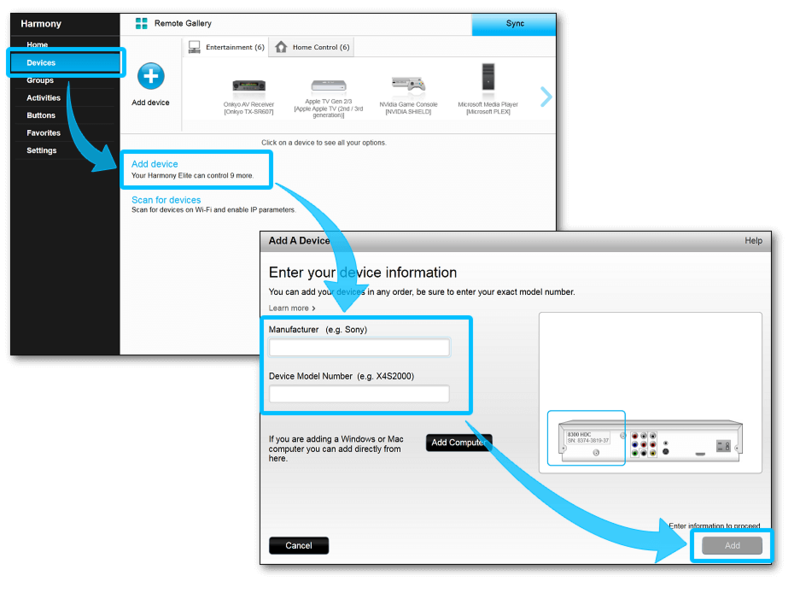 Follow the on screen guide to select your proper Activity devices and inputs. Once created, Harmony will be able to control your Apple TV. You may also choose to enable text and voice entry. Want to enable voice and text entry on Apple TV? Harmony hub‑based products allow you to use the Harmony mobile app to enter text more easily from your mobile device. Or, use the voice-to-text feature to skip typing all together. Using the Harmony mobile app, navigate to MENU > Harmony Setup > Add/Edit Devices. Select ENABLE TEXT ENTRY and select your Watch Apple TV Activity. Harmony hub is now in pairing mode. Using your Apple TV remote, select Settings > General > Bluetooth. Apple TV is now in pairing mode. Harmony and Apple TV should pair after several seconds. If you're having problems pairing, try removing any existing keyboard pairings from Apple TV by selecting it, clicking OK, and selecting Forget this device. Enter the manufacturer Apple and model number Apple TV. You will be prompted to select your Apple TV generation. Select the Watch Apple TV Activity type and select Next. You will be prompted to connect your Harmony to your computer with the provided USB cable. Harmony will scan your home Wi‑Fi network for Apple TV. Ensure both Apple TV and Harmony hub are on the same Wi‑Fi network. Keyboard allows you to easily enter text or use voice search. Use this mode when your Apple TV displays a keyboard on the television screen. Control icon lists commonly used Apple TV buttons. Gestures allows you to control your Activity using simple swipe gestures over your phone screen. For example, swiping up/down will change your volume and left/right can rewind and fast forward. During playback pressing the up arrow twice will bring up the item description. Holding OK will bring up the subtitles and AirPlay speaker options. Text entry is possible using the Harmony mobile app for Apple TV generations 2 (2010) and 3 (2013). Generations 1 (2007) and 4 (2015) do not support text entry. Direction Pad Navigation will navigate the Vevo app. Harmony displays commands specific to your Watch Apple TV Activity on your remote screen. You can add, remove or rename them. You can view common Apple TV commands on your phone or tablet screen. You can add, remove or rearrange these commands. 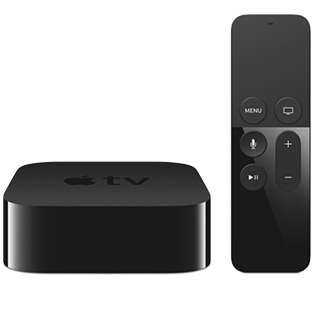 Apple TV may sometimes come linked with a specific Apple remote and will ignore commands sent from any other Apple or Harmony remote control. To allow Harmony to interact with your Apple TV, you must send an "unlink" (or "unpair") command. You may send this using your Harmony remote. Navigate to the Devices menu on your Harmony remote LCD screen. Select Apple TV, and while pointing your remote at your Apple TV box, select Unpair. Your Apple TV should now respond to all commands sent from Harmony. Launch the Harmony mobile app, select the Devices tab and select Apple TV. Ensuring your Harmony hub and Apple TV are within visible range of each other and then select Unpair. Using Bluetooth will un-pair any keyboard you may have paired with Apple TV. If you are not using a keyboard and would like to control your Apple TV with your Harmony Remote via Bluetooth you can add your Apple TV as a device using manufacturer Harmony Beta and model number Test Apple TV. This will allow additional features such as the TV/Home button and sleep mode. The Home button provides additional functionality by allowing you to directly return to the home screen and launch the App Switcher when pressing twice. Apple TV generation 4 (2015) uses a feature called HDMI CEC which can turn on or off compatible TVs and change their inputs automatically. This may conflict with the way Harmony controls your devices, so we recommend it be disabled. From the Apple TV generation 4, access the main menu and select Settings > Remotes and devices > Control TVs and Receivers, ensure this option is set to Off. You can use your voice to send commands such as turn on, turn off, and more. Tap What to say in the Harmony Express app to see sample commands for your device. Using Apple TV 4k or 4th Gen? Harmony Express allows you to use your voice to launch apps with Apple TV 4k and Apple TV 4th generation. During setup, for each app (Netflix, YouTube, etc. ), you will be asked which device should be used to launch it. Harmony hub‑based remotes also allow text entry* using your voice or from the keyboard in the Harmony mobile app. To enable this, Harmony hub and Apple TV must be paired using Bluetooth. You will be prompted to pair during setup using Harmony app, or on first time use for Harmony Ultimate or Ultimate Home remotes. 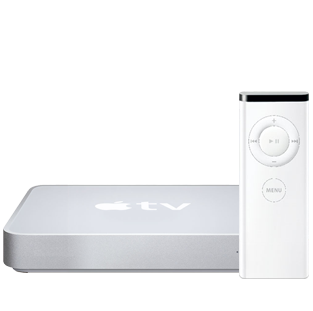 Apple TV may be controlled using infrared (IR) signals that are sent directly from your Harmony remote.